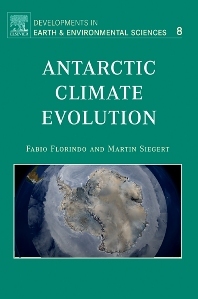 Antarctic Climate Evolution is the first book dedicated to furthering knowledge on the evolution of the world’s largest ice sheet over its ~34 million year history. This volume provides the latest information on subjects ranging from terrestrial and marine geology to sedimentology and glacier geophysics. The book is relevant to marine geologists, geophysicists, geochemists, atmospheric physicists, climatologists, glaciologists and students of Earth history.